Coleford Country Market is part of the nationwide organisation, Country Markets Limited. 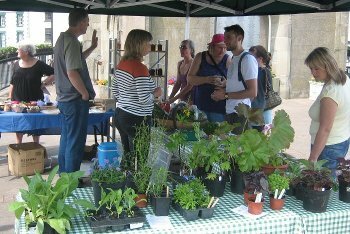 We hold markets every Friday and Saturday (except from Christmas to the beginning of March) in Coleford. Friday markets are from 9.30 - 12 on the central Clocktower, and Saturday markets are from 10 - 12, near the Co-op entrance at the other end of Mushet Walk. The Country Markets network has about 270 markets selling a wide variety of local and seasonal produce throughout cities, towns and villages across England, Wales and the Channel Islands. Each is a cooperative of small producers, and will have its own unique range of goods. The products sold are all locally produced, locally grown and hand crafted by local people. 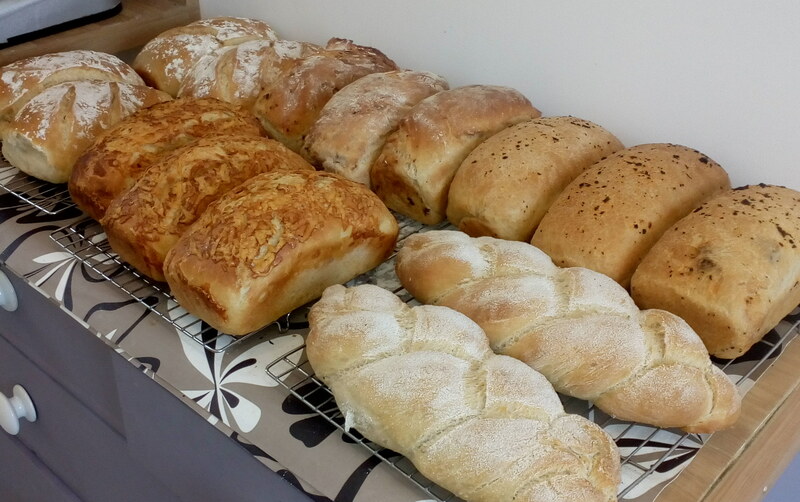 In Coleford we sell honey, home grown fruit, vegetables and plants in season, as well as a wide choice of preserves and baked goods - cakes, biscuits, sweet and savoury pies and bread. We regularly have a range of vegetarian items for sale and at least one gluten-free type of cake, and will try to meet the needs of customers with special diets who place orders with us. We can also do special decorated cakes to order. At the last count we had a choice of over 50 different chutneys, jams, jellies and marmalades, including several unusual recipes, plus local apple juice. 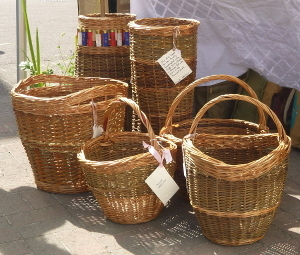 We also sell pottery and hand made sewn and knitted items, and beautiful willow baskets. Our crafters are always willing to discuss bespoke orders. On Friday mornings we visit local businesses with boxes of delicious home-made food from the stalls. We offer this service to people who are unable to come to us at the Clocktower. There is absolutely no obligation to buy every week. We'll show you our range of goods, and you can decide whether to order for the following week. To ask us to call on you, email info@colefordcountrymarket.co.uk. Some of our producers also sell via theDean Forest Food Hub.Select your goods - all from local producers - online at the start of the week, then Coleford Saturday market is one of the 'pick-up points' where you can collect your order.